Shortly past midnight on the morning of Dec. 22, 2008, a dike at the Tennessee Valley Authority’s Kingston Fossil Plant in Roane County, Tenn., ruptured. In the nightmare that followed, more than 1.1 billion gallons of coal ash rushed from a storage impoundment into nearby rivers, covering at least 300 acres with toxic sludge. This was the nation’s largest coal ash spill, yet in the six years that followed no federal rule was passed to prevent such a disaster from happening again. And then it did. 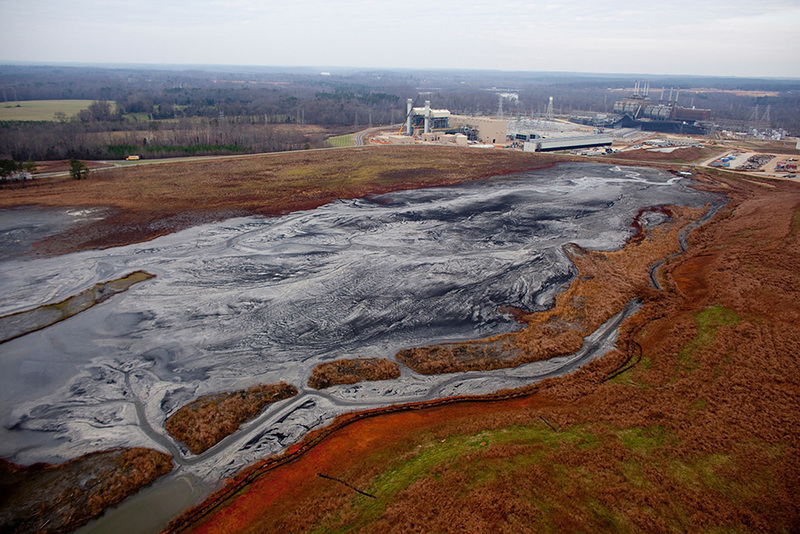 On Feb. 2, 2014, a pipe running beneath a coal ash impoundment in Eden, N.C., failed. As a result 39,000 tons of coal ash, together with 27 million gallons of contaminated water, spilled into the nearby Dan River. These two major spills brought national attention to the dangers of coal ash, as advocates and residents dealt with both the damage and lack of state and federal oversight that allowed for the disasters. Coal ash is the byproduct of burning coal to create electricity. Nearly 140 million tons are produced each year in the United States. The ash contains heavy metals and contaminants such as arsenic, mercury, cadmium and selenium that can pollute water sources if not properly managed. These pollutants have been linked to negative health effects including cancer, reproductive problems and lung disease, according to Physicians For Social Responsibility. The majority of the coal ash across the country is stored near waterways in unlined wet impoundments. Scientists at Duke University have recently proven that this form of storage threatens the quality of water and health of communities nearby, when the toxins can leak out of the pits into ground and surface water. In 2012, Earthjustice, a nonprofit environmental law organization, sued the U.S. Environmental Protection Agency for failing to regulate coal ash on behalf of 11 groups including Appalachian Voices, the publisher of this paper, and Kentuckians For The Commonwealth. At that time, there was no federal rule surrounding coal ash storage or cleanup, and this toxic waste product was less regulated than household trash. In December 2014, the EPA released a long-awaited federal rule for coal ash disposal. The rule lays out guidelines for greater monitoring for dust and groundwater contamination, publication of monitoring data, and regular inspections of the containment facilities. The rule also established deadlines for closing ponds, but allows for a practice called “cap-in-place.” This closure method allows the utilities to leave the ash in an unlined pond and to simply cover the impoundment with a liner, which doesn’t prevent the ash from entering the groundwater. But the rule also classifies coal ash as a solid — not hazardous — waste, the opposite of what the advocacy groups had requested. A hazardous classification would have required all states to adopt the EPA rule as a minimum standard for coal ash disposal, and set stricter national standards. Given the solid waste classification, it’s mandatory for utilities that produce coal ash to follow the EPA’s rule, but it’s optional for states. This means that utilities must monitor their facility’s actions in accordance with the EPA standards, but the state doesn’t have to enforce compliance. Without the state regulators ensuring that facilities are meeting federal standards, the responsibility falls on citizens. 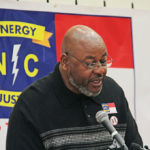 To enforce the regulations, citizens can file lawsuits against the utilities for non-compliance. North Carolina resident Amy Brown lives near a Duke Energy coal ash impoundment and lives with elevated levels of heavy metals in her well water. 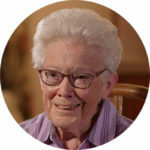 “Unless you have to fight for protection, you have no clue that you even need to fight for protection, because you assume that the government is doing their job to make sure that everything is taken care of in an appropriate way,” says Brown. Appalachian states have relied heavily on coal as a source of energy. As a result, they now have a legacy of coal ash that threatens to burst free of aging dams or to leach toxins into surrounding water sources. And in most states, the volume of coal ash continues to grow by millions of tons each year. The regulations passed by the EPA in 2014 provided guidelines for how states could address this problem. 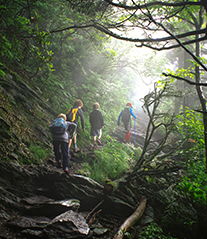 While some states have taken actions toward cleanup, no Appalachian states have adopted the EPA regulations. Instead states have taken varied approaches toward regulating cleanup. Cleanup plans: If Duke Energy provides water to residents and fixes dam problems, it can follow EPA guidelines instead of previous state requirements. State fact: A new law overturns the state’s previous, stricter coal ash law. Cleanup plans: All coal ash near waterways is being excavated and moved to lined storage. State fact: First state in Southeast to commit to full excavation. Perhaps nowhere is the contrast between cleanup efforts more stark than in North and South Carolina. Under pressure from the Southern Environmental Law Center and other advocacy groups, the three main utilities in South Carolina have committed to cleaning up their coal ash. As of 2015, the utilities have pledged to excavate approximately 20 million tons of ash, removing all impoundments located along waterways to dry, lined storage, according to the Southern Alliance for Clean Energy. South Carolina is the first state in the Southeast to commit to full excavation of its coal ash impoundments. North Carolina has taken a different path. 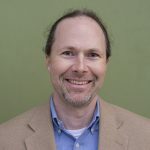 “What happened in North Carolina — which did not happen in South Carolina — is the state agency tried to block and obstruct the enforcement of clean water laws by us and local conservation groups,” says Frank Holleman, a senior attorney at the Southern Environmental Law Center who has worked on coal ash issues in both states. 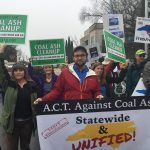 Appalachian Voices, the publisher of this newspaper, is among the groups advocating for stronger coal ash cleanup rules in the state. Following the Dan River spill in 2014, the N.C. General Assembly passed the Coal Ash Management Act, which established guidelines for cleaning up the state’s coal ash that were more rigorous than regulations passed later that year by the EPA. The law also created a commission to oversee the process, which was disbanded by Gov. Pat McCrory in March of this year. In accordance with the 2014 law, the state’s Department of Environmental Quality determined timelines and levels of cleanup for each impoundment across the state by classifying each as either low, intermediate or high priority. But in July of this year, the governor passed legislation that overturned these rankings and reduced Duke’s cleanup responsibility. While the new law requires provision of water to residents near impoundments who have not been drinking their water for over a year because of elevated levels of heavy metals, it also delays the deadlines for cleanup and requires the DEQ to classify intermediate-risk ponds as low risk if Duke Energy takes measures to fix leaking dams and provides water. The bill also allows low-risk sites to be closed according to the EPA’s federal coal ash rule, which is less stringent than North Carolina’s original requirements. Cleanup plans: Utilities favor cap-in-place. 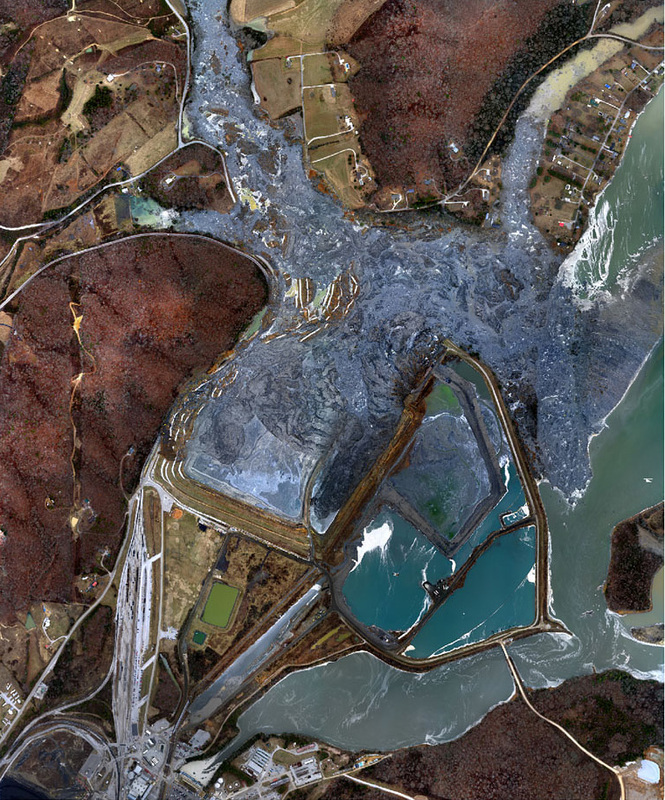 State fact: The 2008 Kingston spill is the largest coal ash disaster in U.S. history. State Fact: Residents are being sued for libel for speaking out against nearby coal ash. State Fact: Only 7 percent of Georgia’s coal ash dams have been inspected by the state in the past five years. In Tennessee, cleanup of the 2008 Kingston spill has progressed, but the Tennessee Valley Authority has made no plan to remove impoundments statewide. Instead, TVA released a report in December 2015 outlining its intention to cap-in-place. 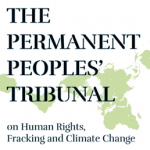 Citizen and environmental groups have challenged this decision. According to the Southern Environmental Law Center, the drinking water of three million people is downstream of TVA’s unlined, leaking coal ash impoundments in both Tennessee and Alabama. “TVA should do the right thing, as other utilities are doing, clean up these polluting ash ponds and remove the toxic contents to secure, lined, dry storage facilities away from our waterways,” Charles Rose, president of the Alabama-based Shoal Environmental Alliance, told the TimesDaily in June. Alabama Power and Georgia Power, subsidiaries of Southern Company serving their respective states, have both announced that they will close their coal ash ponds. Alabama Power hasn’t released a timetable for closure or details on how the ash will be handled, but Georgia Power has released a plan to excavate 19 sites and cap 13 in place over the next 14 years, according to The Atlanta Journal Constitution. As part of the cleanup of the 2008 disaster in Kingston, Tenn., four million tons of coal ash were shipped to the Arrowhead Landfill in Uniontown, Ala. Dozens of workers who cleaned up the spill have filed lawsuits against the contractor claiming that they were told the ash was safe, were not given proper protection and are now suffering health consequences, according to the Center For Public Integrity. In April of this year, owners of the Uniontown landfill brought a $30 million suit for libel against four local residents, and also sued two of the four for defamation. 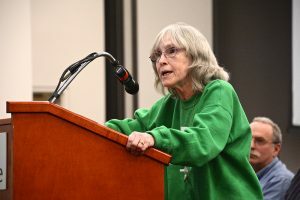 The residents, members of grassroots group Black Belt Citizens Fighting for Health and Justice, had spoken out about environmental and health risks associated with the landfill’s coal ash. State fact: Home to the only unlined impoundment along the southeastern coast without a plan for excavation. Cleanup plans: The state’s solid waste rule applies only to coal ash impoundments built after May 1, 1990. State fact: Many of the state’s coal ash ponds were built before May 1, 1990. Cleanup plans: Utilities favor cap-in-place, and legislation mirroring the EPA’s is being drafted. State Fact: Doesn’t require groundwater monitoring or emergency action planning at all sites. Coal ash disposal in Virginia is making national news this summer, as the commonwealth hosts the first federal-level court case to address one utility’s violation of the Clean Water Act. Testimony ended in June in the Sierra Club and Southern Environmental Law Center’s suit alleging that arsenic leaching from impoundments at Dominion Virginia Power’s retired Chesapeake Energy Center had contaminated surrounding water. Dominion’s plan for cleaning up the coal ash in Virginia relies heavily on discharging the water into surrounding waterways and then capping the impoundments in place. West Virginia has not adopted the EPA standards and regulates coal ash disposal based on the state’s Solid Waste Management Rule. This rule exempts coal ash impoundments built before May 1, 1990, from following all requirements except for groundwater monitoring. According to Earthjustice, at least 12 of the impoundments in the were built before 1990. In Kentucky, utilities are increasingly using dry storage for newly produced coal ash, but opting to cap-in-place many existing impoundments. Seven dams across the state are rated high hazard according to Earthjustice, meaning failure could result in the loss of human life. The state is drafting legislation that enforces the EPA rule, but doesn’t require emergency response plans. Cleanup plans: Utilities haven’t announced plans. State fact: In 2002, a utility bought a town near their coal plant for $20 million to gain future amnesty. The nation’s largest coal ash containment pond is primarily in Pennsylvania and also encroaches into Ohio and West Virginia. The forty-year-old impoundment at Little Blue Run stores ash produced by FirstEnergy Corp.’s Bruce Mansfield Power Plant. The 1,700-acre site has been used to dispose of more than 20 billion gallons of coal ash waste. Three years ago, the Pennsylvania Department of Environmental Protection ordered the site to be closed and stop receiving new coal ash by the end of 2016. The closure of Little Blue Run will require cleanup of that site and a new plan for disposal of coal ash produced in the future. One plan being considered is to ship the coal ash to LaBelle, Penn., and use it to fill an abandoned coal mine. The EPA considers this form of disposal a “beneficial use” and does not regulate it. The U.S. Department of the Interior has the authority to set standards but has yet to compile regulations. 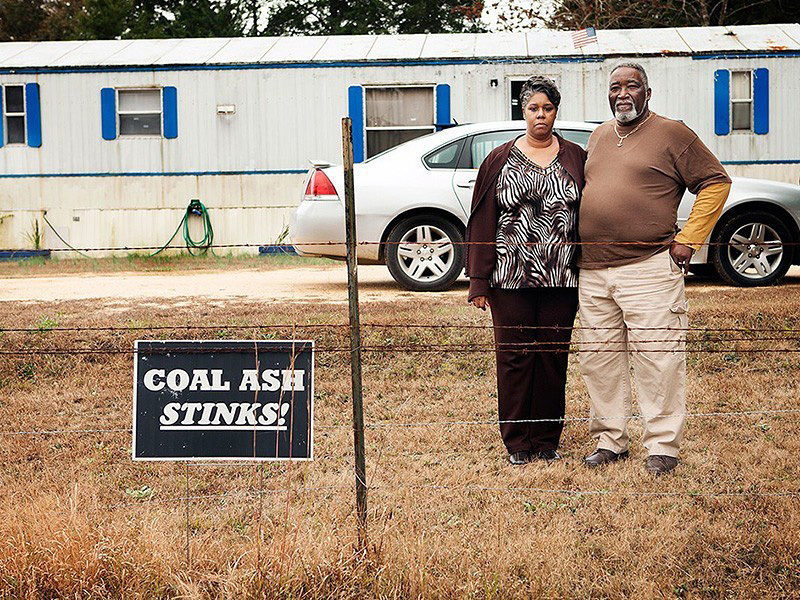 Residents of LaBelle are fighting to prevent the coal ash from coming to their community. In July, FirstEnergy announced plans to close five of its Ohio coal-fired plants by 2020. The state has retired more coal-fired capacity since 2010 than any other state, according to Earthjustice. But the pace of coal ash cleanup is lagging behind. “Ohio is one of the largest coal ash producers in the country, and they have some of the worst state regulations,” Lisa Evans, senior administrative counsel at EarthJustice, told WCPO News in June. As states delay cleanup efforts and lawsuits are challenged in court, coal ash continues to disproportionately affect low income and minority communities. Almost 70 percent of coal ash ponds are in areas with household incomes below the national median, Evans testified before the U.S. House of Representatives Subcommittee on Energy and the Environment in 2013. “These citizens who already feel so isolated because they are poor, feel even more isolated when they are following the protocol, making the complaints and not seeing any relief,” says filmmaker Rhiannon Fionn. Communities throughout Appalachia experience coal ash and its toxic effects in different ways. 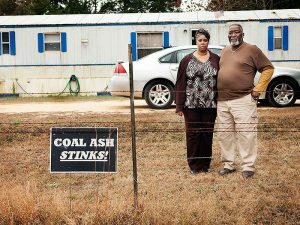 For some, like the citizens in Uniontown, Ala., their problems began when ash and its putrid smell was relocated to their area, despite residents’ objections. For others, like Kentucky residents whose drinking water comes from the Ohio River, contaminants have been seeping into their communities’ water supplies for decades through Louisville Gas and Electric’s permitted but unmonitored discharge pipe. Still others, like prisoners at the Pennsylvania State Correctional Institute, saw elevated numbers of cancer cases and deaths linked to coal ash blowing onto prison grounds from a nearby impoundment, according to Scientific American. Coal ash is impacting communities across the southeast in different ways. But from state to state, residents bear the responsibility of leading the fight for cleanup.